The Polish Jinx: 12 Days of Nerd Lacquer - Day Three - Warrior Ethos! 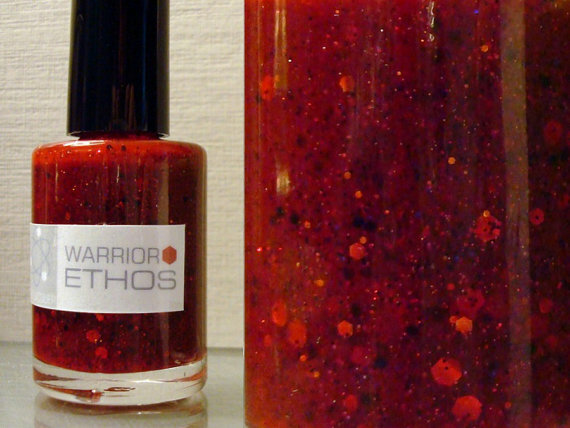 12 Days of Nerd Lacquer - Day Three - Warrior Ethos! Day three of my twelve days of Nerd Lacquer brings us to the perfect holiday red with a twist - Warrior Ethos! Warrior Ethos is described as a bright blood red with black, iridescent, copper, and red glitter, plus medium black hexagonal glitter and large copper hexagonal glitter. Opaque in two coats, or great as a top coat over your favorite crimson. This is a red jelly base with black silver and red glitter (to my eyes! 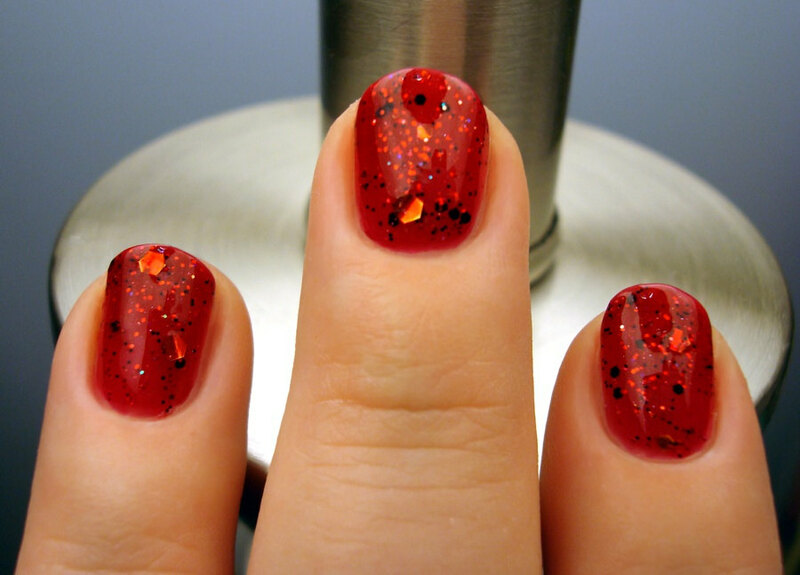 ), medium round glitter in red and black, and larger reddish copper hex glitter. This is swatched first over Gosh Nero, then over Dior Red Tea (a bright pure red crème) and finally two coats on its own. I just love and cant get over the look on red. It is truly what I wish Lippmann's Ruby Red Slippers looked like.